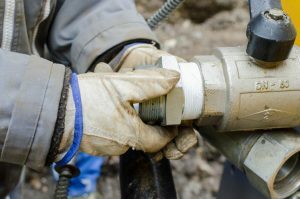 One of the important services that we provide for homeowners is leak detection. Since much of the plumbing in a house remains hidden from site in ceilings and walls, it’s difficult to even know that leaks are occurring, much less where the offending pipes are located. However, this leads to an obvious question: if you don’t know that leaks are happening, how will you know you need professionals leak detection? There are a number of signs, some of which are subtle, that will warn you that there are pipes leaking somewhere in your house. If you notice one or more of these leak indications, contact our plumbers. They’ll handle finding the leak and then how to fix it.